Xiaomi began rolling out its latest Android OS version, the MIUI 10 in July this year. 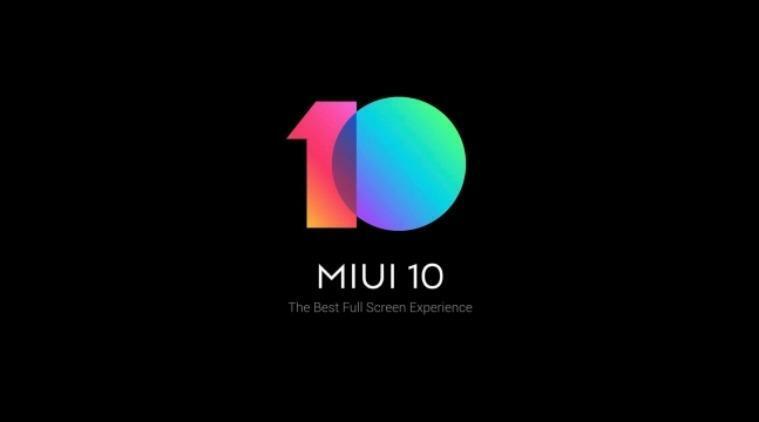 Since the time, the Chinese smartphone manufacturing company has started releasing MIUI 10 stable over-the-air updates to the compatible handsets. Update: In a Xiaomi’s Chinese forum post, the company said that Xiaomi Redmi Note 3 Pro/Redmi Note 3 (in India), Mi 5, Mi 4, Mi 4C, and Mi 4S will no longer get MIUI updates. And now, as per a report, Xiaomi is expected to roll out the MIUI 10 stable update to over 20 of its smartphones. All of these devices will be getting the MIUI 10 Android version via an over-the-air update. 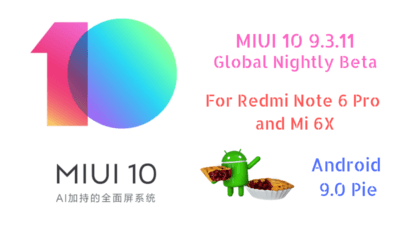 Besides, the smartphones such as the Redmi 6 series as well as Redmi Y2 are also now receiving the MIUI global stable MIUI 10 update. Moreover, Xiaomi has also started releasing the MIUI 10 global stable ROM to its budget smartphone, the Poco F1. MIUI 10 comes with gesture-based navigation support and also features revamped gesture controls and task manager. Plus, the front camera of the devices will also be able to capture AI-enable pictures. There is also an AI portrait mode introduced for improved Bokeh images. Besides, the Clock and Note apps have also gone through a huge change. Notification shade going blank and more. Like every other Android manufacturer, Xiaomi will send you a push notification to make you aware of the fact that your device can be updated to the new and refreshed MIUI via OTA (Over-The-Air). And if you didn’t get any notification or wanted to check whether your device is ready to be updated, then you can check the credibility of the update manually. Click on Settings>About phone>System updates > Check for updates. And if you do not like waiting and want to try MIUI 10, then you can also download the MIUI 10 ROM and install it manually. But do not forget to back up your data while installing a Custom ROM. 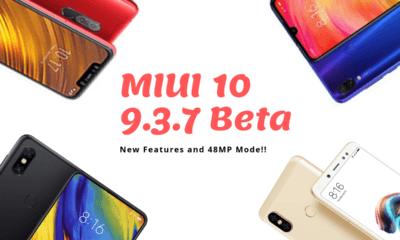 We have made a list you to download the beta as well as the stable version of MIUI 10 ROM for the smartphones which are compatible with MIUI 10 ROM. If you do not find a stable MIUI 10 ROM for your device then you can try out the new MIUI 9 ROM (Stable) mentioned below. Xiaomi Mi 5S is equipped with a large 5.7″ full HD display with 2.5D curved glass to provide the best viewing angle to the user. The phone sports 13 MP RGB Sensor and 13 MP Dedicated monochrome sensor that captures true-tone colors and reduces the noise of an image. Mi 5 is powered by Snapdragon 820 processor with 3GB RAM. The best thing about Mi 5 4-axis Optical Image Stabilization camera sensor is that the photos and videos won’t get blurry even if the hands of the user shakes while operating the camera app. Mi 8 is powered by the best mobile processor to date Snapdragon 845. The phone sports a dual camera which is backed up by Artifical Intelligence with IR face unlock. The phone borrows 6.21″ Full AMOLED display. Mi 5S Plus sports a large display of 5.7″ that fits right into the hand. Like Mi 5S, Mi 5S Plus sports 13 MP RGB Sensor and 13 MP Dedicated monochrome sensor to click better photo and video. Mi Max powered by mid-range Snapdragon 650 hexa-core 1.8 GHz processor with 3 GB RAM. It has the largest display of all the Mi Phones. The tagline of the phone is “picture perfect dual camera.” Mi 6 is powered by the Snapdragon 835 processor with a whopping 6GB RAM. The most distinctive feature of the phone is the four-sided ceramic curved glass body. Mi Max 2 features a bigger battery of 5300 mAh and a bigger display of 6.44 inch. Mi Max 2 is now available with 4GB RAM and 32 GB of internal storage. The only difference between Mi Max Prime and Mi Max is the external storage which is of 128GB with 4 GB RAM along with an upgraded processor Snapdragon 652 in contrast to Snapdragon 650 of Mi Max with 3GB RAM and 32 GB ROM. Mi Max 3 is an upgrade from Mi Max 2 and Mi Max one with a better and impressive 6.9 inch of a gorgeous display with 18:9 aspect ratio. The phone is backed up with a 5500mAh ultra-high capacity battery. It supports outbound charging. Mi Max 3 sports AI dual camera with dual pixel autofocus, 1.4μm large pixels and a mid-range Qualcomm Snapdragon 636 octa-core processor. Mi Mix 2 sport a Full-Screen Display just like its predecessor. Mi Mix 2 sports a 5.99″ of IPS LCD Display and it is powered with Snapdragon 835 SoC backed up with 6GB RAM. Mi Mix is the world’s first full-screen display smartphone with 6.4″ of a beautiful display with 18:9 screen aspect ratio. Mi Mix is powered by Snapdragon 821 processor with 4GB RAM. Mi Note 2 features a curved 5.7″ flexible OLED display. The phone is powered with Snapdragon 821 octa-core processor and 4GB RAM. Mi Note 2 also features a high-resolution 22.56 MP camera. Xiaomi Mi Mix 2S with powered by Snapdragon 845 SoC with 6GB of RAM. The phone sports a dual camera of 12 MP for clearer and sharper picture. 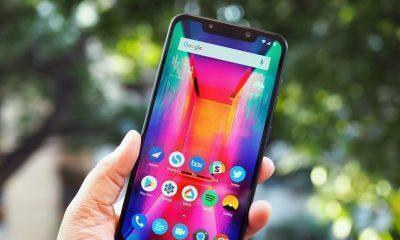 Poco F1 is the budget flagship phone by Xiaomi that sports a 1080×2246 6.18-inch display. The phone is powered by a 2.8 GHz octa-core processor which is backed up with 6 gigs of RAM. Redmi 3S/Prime launched back in 2016. The phone sports a 720p HD ready 5.0″ display. The phone sports a Snapdragon 430 SoC with 3GB RAM and 32 GB storage. Mi Note 3 sports a stunning 5.5 inch HD display with Snapdragon 650 SoC. Mi Note 3 has dual ISP processing to facilitate impeccable photo shoot. Xiaomi Redmi 4X features a 5.00″ capacitive touch screen display with 720×1280 screen resolution. Redmi 4X is powered by Snapdragon 435 SoC of 28nm backed up by 4 GB RAM for 64 GB ROM, 3 GB RAM for 32 GB ROM and 2 GB RAM for 16 GB ROM. Redmi 4A comes with an IPS LCD capacitive 50inch touchscreen with a 16:9 screen ratio. Snapdragon 425 powers the phone’s processing and the chipset is backed up by 2 GB RAM with a storage option of 16 GB or 32 GB. Redmi 5 comes with a Full View 5.7-inch 2.5D Display. Redmi 5 is powered by next-gen 14nm Snapdragon 450 SoC backed up by 3 GB RAM and an inbuilt storage space of 32 GB. The phone comes with a single lens 12-MP rear facing camera and a battery of 3300 mAh which last all day. Redmi 5A has reportedly received Android Nougat-Based MIUI 10. REDMI 5A is powered by a Snapdragon 425 SoC with 2GB for 16 GB ROM and 3 GB RAM for 32 GB ROM with 5-inch HD display. One of the most distinctive features of the phone is that it supports H.265 video playback. Redmi 5 Plus is one of the ideal choices for mobile gamers. The phone is optimized to provide a system level acceleration for gaming which allows the Android device to consume low power and to provide an ultimate gaming experience. Redmi 5 Plus sports a 2K 5.99-inch display. It is powered by 2GHz Snapdragon Octa-core processor with 3 GB RAM. Powered by MediaTek 12 nm P22 2GHz Octa-core processor backed up with 3 GB RAM. Redmi 6 sports a dual camera set-up in the rear with 12-MP as the camera lens and 5-MP as the image processor. Redmi 6 comes with a 5.45-inch touchscreen with 720 X 1440 screen resolution at 295 PPI. Redmi 6A is one of the best budget Android smartphone it shares the same screen specification with that of Redmi 6. It is one of the very few Mi phones to provide Android Oreo 8.1 out of the box. The phone is power by MT6761 Helio A22 chipset with 3 GB RAM. Redmi 6 Pro offers a stunning 5.84-inch Full-Screen FHD+ Display with 19:9 screen aspect ratio. According to Mi, the phone is juiced up with a 4000 mAh battery that lasts for two days. Redmi 6 Pro also supports AI face unlock along with a Fingerprint sensor. Redmi Note 3 Special Edition is also called Red Rice Note 3 Pro is powered by Hera-core Qualcomm Snapdragon 650 SoC and Qualcomm Adreno 510. The phone comes in both 2 GB and 3 GB RAM variant with an external MicroSD support up to 128 GB. The phone has a screen size of 5.5 inches with 1080×1920 resolution. Redmi Note 3 Snapdragon variant has a metallic unibody with curved edges. The phone sports a fingerprint scanner on the back of the phone to unlock the phone without any hassle. The phone features a display of 5.5 inches Full HD 1080p (1920 x 1080 pixels) with a viewing angle of 178 degrees. The Snapdragon variant of Redmi Note 3 comes with a 4000 mAh battery. Redmi Note 3 is powered by 64-bit hexa-core Qualcomm Snapdragon 650 SoC, and it comes with 2 GB RAM and 16 GB flash or 3 GB RAM and 32 GB Flash. It runs on Android Lollipop. There is no physical difference between the Snapdragon variant of Redmi Note 4X but there are some massive differences regarding specs like the Snapdragon variant features Better supported Bands from many options to choose from. The Bluetooth version in this variant is better than the MediaTek variant. The Snapdragon variant comes with 4GB RAM and 63 GB inbuilt memory. The MediaTek variant of Redmi Note 4 sports a Sony IMX258 which has the upper hand from the Snapdragon variant as the sensor of Sony has an auto HDR mode whereas the Snapdragon variant doesn’t. The battery life of MediaTek variant is not up to the mark. Redmi Y1 Lite also known as Redmi Note 5A has a big 5.5″ display with a fast-focusing 13 MP camera and a dedicated MicroSD slot. Redmi Y1 Lite is powered by Snapdragon 425 quad-core processor alongside 2 GB of RAM. Redmi Note 5 Pro is one of the fastest selling Xiaomi Android smartphones. It is powered by Qualcomm SDM636 Snapdragon 636 and runs on Android Nougat. It is upgradable to Android Oreo 8.1. The phone comes with 5.99-inch 13:9 1080×2160 display with 403 PPI. Redmi Note 5 Pro has an internal memory of 64 GB and two variants in RAM: 4 GB and 6 GB. Redmi Y2 come with a dedicated selfie camera specifically designed to click photo selfies. Redmi Y2 runs on Android 8.1, and it is powered by Snapdragon 625 chipset along with 4 GB RAM. The phone has an 18:9 screen ratio with 720×1440 Pixels powering a 5.99-inch IPS LCD capacitive screen. There is a fingerprint reader mounted at the rear of the phone.